Prior to joining the team, Lauren served as the Director of Operations for a real estate team in Atlanta, GA and COO for the Keller Williams office in NY. Lauren has eight years of experience building a luxury lifestyle management business in NYC. Her focus has been to build financial and operational infrastructures, and developing strategic partnerships. Working with some of Manhattan’s most iconic properties were some of the highlights of Lauren’s real estate career. Known for her honest and straightforward style, Lauren sets a high standard for integrity and customer experience. She enjoys guiding clients through every detail of the real estate process and her mission is to add value to the lives of everyone she meets. Born and raised in NYC, Lauren relocated to California with her family and is embracing being a first time mom to her son Maverick. She enjoys renovating homes, crafting, exploring new places and restaurants; internationally and locally. She will almost always be able to tell you what local event is going on in the area. Melissa Pilon is a Redondo Beach resident and a transplant to the South Bay from the Midwest. Armed with a Bachelor of Science Degree in Marketing from Miami University, Melissa has over 10 years of marketing and account management experience working with some of the world's largest automotive brands. Her love of home design and passion for marketing that gets tangible results lead her to a career in real estate. Melissa will be there every step of the way as you go through the home selling process and will promote it through various channels to bring buyers to the table. She is a creative problem solver with a strong attention to detail. She is a master at multi-tasking and prioritizing while always focusing on the client and outstanding customer service first and foremost. She is a contracts expert and will help facilitate in the negotiation process and transition you into escrow. Melissa believes in clear communication, proper planning and building trusted relationships with clients by exceeding expectations. Jessica Burns is a recent graduate from Loyola Marymount University. Jessica has been an important member of the Hoffman Murphy Executive team since 2013, contributing her unique millennial perspective and technology expertise. As an accomplished NCAA Division 1 athlete, Jess knows dedication and hard work – and her acute problem solving ability spills over into every one of the many important roles she has on the team. Being in a family of realtors, Jess knows the importance of relationships with clients. As Transaction Manager Jess is an integral part of HMT’s growth and completely embodies the team’s customer service philosophy. She will walk you through the process of your transaction, from explaining the necessary paperwork to sign, to scheduling your inspection and appraisal dates, and will keep a daily hand in your file to ensure a smooth and timely close. Most importantly she holds the lender, escrow and title representatives accountable to keep them on schedule and you happy! Jess is also a Redondo Beach local, and enjoys living in the community where she works. Jeantina, or "JT" as we call her, is an integral part of our team. She is dedicated to carrying out our detailed marketing plan that helps you get the most money for your home. She is also responsible for the planning and execution our wonderful community events. Jeantina has a huge heart and a passion for all the life that surrounds her. Her personal desire is to ensure every person she interacts with feel a deep sense of love and belonging. This is what makes her a perfect fit for the Client Care Coordinator here on our team. Her passion to care for and connect with people drives her to offer the most fantastic customer service to each and every person who walks through our doors. Your satisfaction with our team is of the utmost importance to her. She grew up in Huntington Beach and recently relocated to the South Bay where she is excited to be a part of our team and community! Dee Fielding grew up in New Zealand and made the move to Los Angeles in 2015. 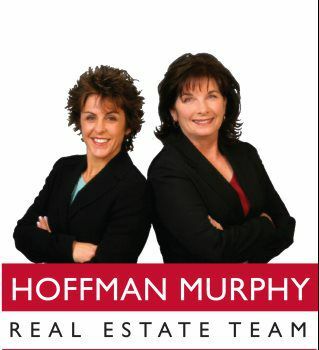 Dee has been working in real estate since moving to Los Angeles, and is the newest addition to the Hoffman Murphy Team. As HMT’s Transaction Manager, Dee is an integral part of HMT’s growth and completely embodies the team’s customer service philosophy. She will walk you through the process of your transaction, from explaining the necessary paperwork to sign, to scheduling your inspection and appraisal dates, and will keep a daily hand in your file to ensure a smooth and timely close. Most importantly she holds the lender, escrow and title representatives accountable to keep them on schedule and you happy! Lisa Lester is a key asset to the infrastructure of the Hoffman Murphy Team. As the Field Tech, Lisa is responsible for many of the details that create the world class customer service experience we strive for. She has exceptional attention to detail, and you can always count on her positive helpful attitude to get the job done. On a daily basis you can find Lisa out in the field, monitoring our listings, delivering any necessary items and supporting our agents with open houses. Lisa has years of specialized customer service experience, also working as class manager for the local Beach Cities Jazzercise franchise. She is an active member in the South Bay community, volunteering her time with The Peter Zippi Fund for Animals cat rescue adoption program as well as running the Social Committee at the Three Sixty residential development where she resides.